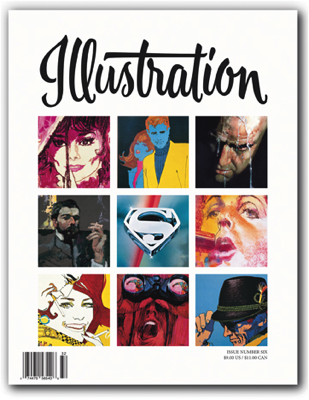 In this issue: The work of the legendary and influential illustrator Bob Peak. Few illustrators had as much impact on the work of his contemporaries as Peak. His style was bold, brilliant, and revolutionary. His sensitive line and use of color had a profound effect on everyone working in the field, and his inventive compositions helped to make him the father of the modern movie poster. 80 pages in full color. Sold out.